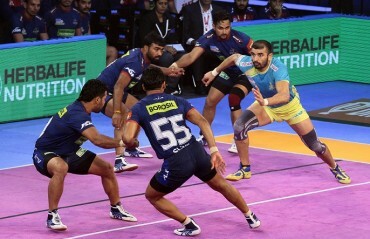 At the end of the two-day auction of Pro Kabaddi League season 7, JSW Sports owned-Haryana Steelers’ management looked content with their squad as raider Prashant Kumar Rai and defender Dharmaraj Cheralathan were top billed players in the team. 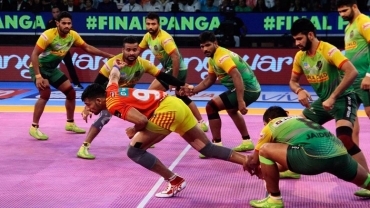 The team retained raider Vikash Khandola and defender Kuldeep Singh from last season and 19-year old raider Vinay and Subhash Narwal were roped in as New Young Players. The remaining squad was built across two days of auction with one player picked on Day 1 and 12 on Day 2. Vikash made a big impression in Season 5 representing Haryana Steelers. In nine matches he piled 58 raid points including 16 in Do-or-Die raids. Last season, he tallied 177 points in 22 matches, highest for Steelers. 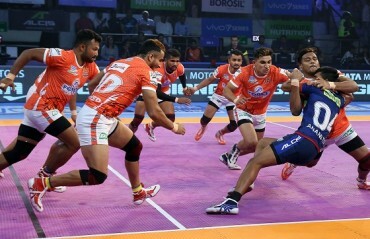 Kuldeep was their best defender with 49 tackle points. 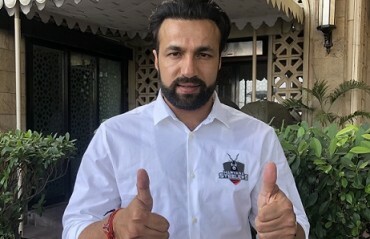 Defender Ravi Kumar was the first player selected by Haryana Steelers. The 26-year old who plied his trade for Puneri Paltans last season was bought for Rs. 20L. Steelers experienced first-hand what Ravi was capable last season when he made three successful tackles out of four for Paltans in a match leading his side to a win. 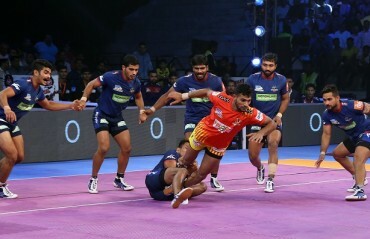 It was Day 2 when Steelers were more assertive picking 13 players including their top-billed player in raider Prashant Kumar Rai. 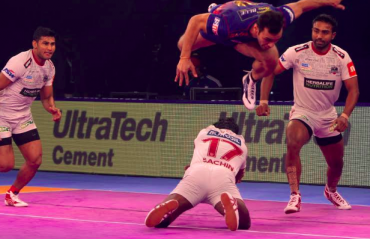 The 34-year old raider plied his trade last season with UP Yoddha’s accumulating 147 points in 21 games that included five Super 10s. But his season five exploits of 80 points in 16 games representing Steelers that prompted the team to bring him back to their side. His three Super 10s were the most by a Steelers player that season. Seasoned pro Dharmaraj became Steelers’ highest-paid defender at Rs. 38.50 Lakhs. 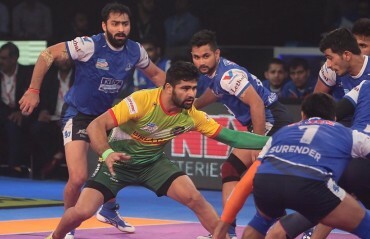 The corner led Patna Pirates to title in Season four where he also led the Super Tackles count in Season 4 with 8 against his name. He will shoulder the responsibility of defence line for Steelers this season. 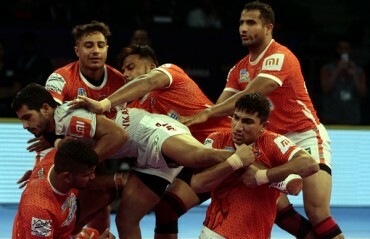 Mustafa Ghouse, CEO, JSW Sports said the focus this time was to have a team with depth. “We were keen on building a balanced squad for the long season, injuries always play a part which we have experienced and learned last season,” said Ghouse. “We have a promising team in place and good time to train ourselves for the season. We have Rakesh on board for the first time and he is motivated and looking forward to meet the team and start the training,” he added. 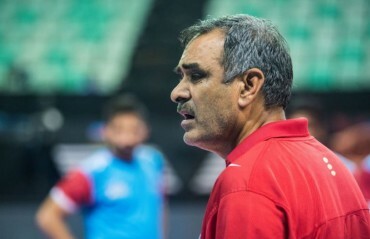 After participating in his first-ever auction as head coach, Rakesh Kumar was very optimistic with the new-look team and said younger players will have a bigger role to play this season. “We have retained two players in Vikash and Kuldeep. The focus in this auction was to stabilize the other positions of the mat. Meanwhile, the young players we picked will play an important role as the league is three-month long. Not only would they want to prove themselves but also recover quickly,” said Kumar. Among foreign players, Haryana Steelers brought back Tin Phonchoo for Rs. 10 lakhs. The Thai defender will look to hit the mat this season after not breaking through the squad last season.